The success of Microsoft’s Surface Hub has seen another company jump on the digital whiteboard bandwagon. 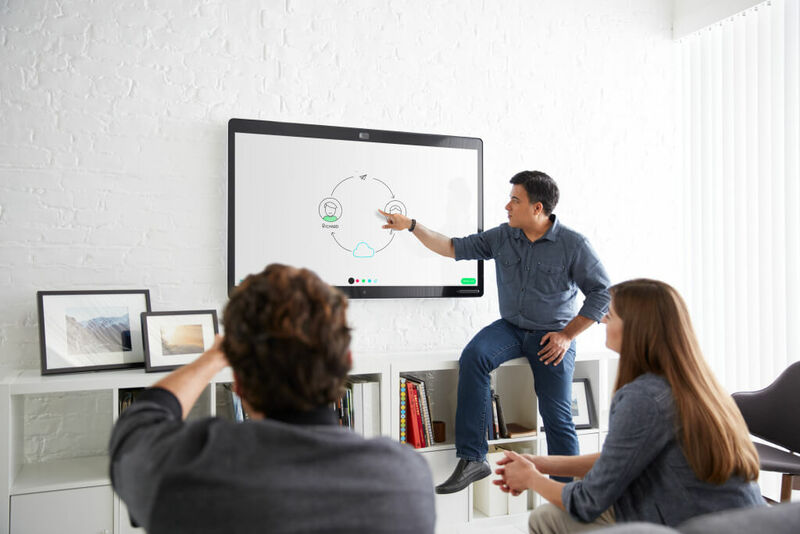 First, Google unveiled the cheaper Jamboard; now, Cisco has announced its take on giant tablet-style collaborative devices: the Cisco Spark Board. As with its rival boards, Cisco’s entry is designed to work best with its own software. In this case, it’s the company’s cloud-based collaborative service, Spark. Other common factors the Spark Board has with its competitors are the 55-inch touchscreen (there’s also a 70-inch version), 4K resolution and camera, speakers, and digital pen. When not using your fingers (it even has pinch-to-zoom) or the stylus, Cisco’s device can be controlled with a smartphone, tablet, or computer. And thanks to Apple’s partnership with Cisco, iPhone users get extra benefits, such as the ability to drag and drop Spark calls onto the board. Like the other two digital whiteboards, the Spark Board lets teams from different locations collaborate on projects using their huge displays. Users can share files and drawings while utilizing the board’s video conferencing features, which includes 12 microphones and VoiceTrack technology. Using ultrasound wireless pairing technology means anyone who walks into a room will have their Spark app automatically paired with the board, no Bluetooth required. There's also a strong focus on security, as everything gets encrypted before being sent to the cloud. The Cisco Spark Board, which is powered by a pair of Nvidia Jetson TX1 chips, costs $5000 for the 55-inch model, making it cheaper the Microsoft’s same sized $9000 Surface Hub and Google’s $6000 Jamboard. The 70-inch Spark will be priced at $9900 when it’s released before the end of the year. One caveat is that customers will have to subscribe to Cisco’s $199 per month Spark Flex software plan if they want to access the board’s full range of features.